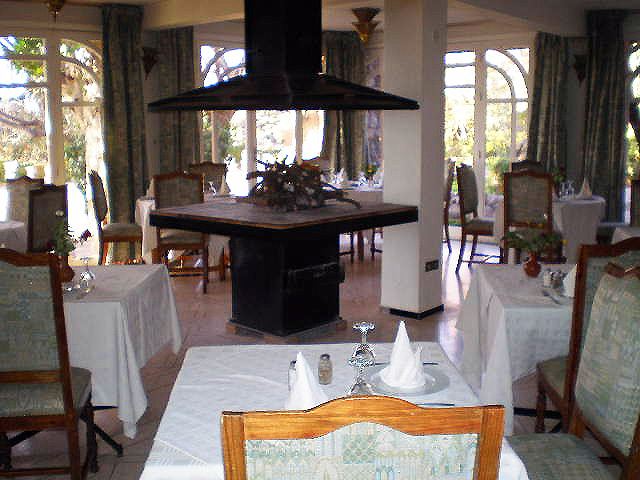 Hotel des Cascades Client Comments, Reviews and Testimonials. 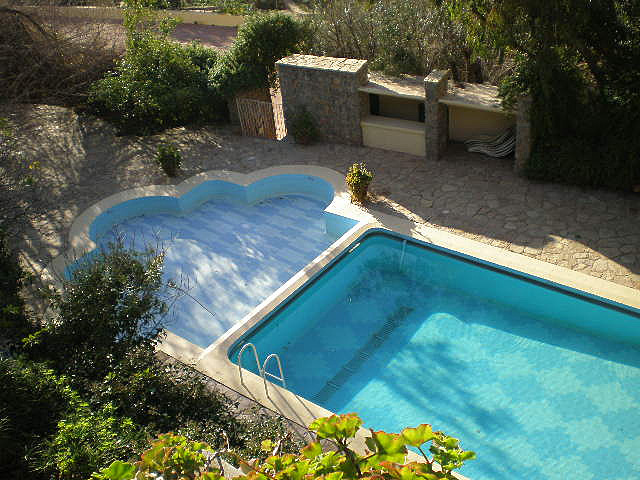 Book Hotel des Cascades Today with Hip Morocco - Holiday Accommodation in Agadir & Taroudant, Morocco. 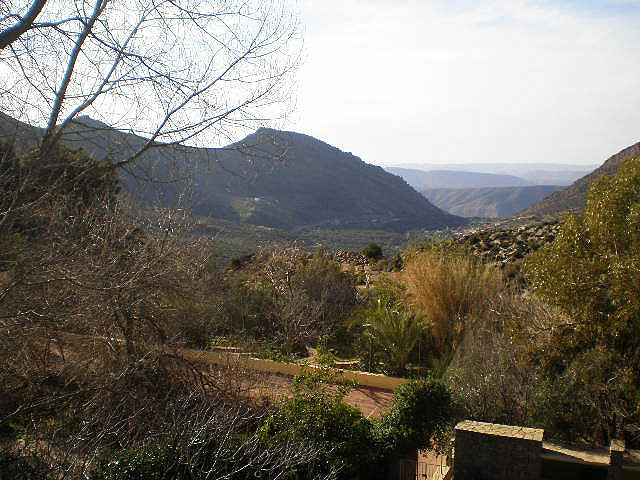 "Peaceful EcoLodge that clings to the mountainside..."
The Hotel des Cascades (27 rooms) clings to the mountainside, being located high up in the Atlas foothills (1200m), and a stunning 90 minute (60kms) drive north of Agadir. Built on a hill, the views from and across the hotel grounds are magnificent. There is a protrusion of trees, flowers and shrubs with the constant sound of water to remind you of the beauty of this location. 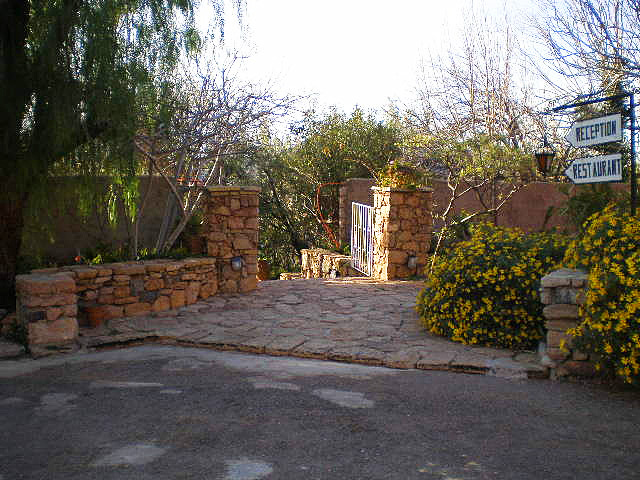 One can look down across many landscaped areas, each one enclosing another facet of this wonderful retreat. 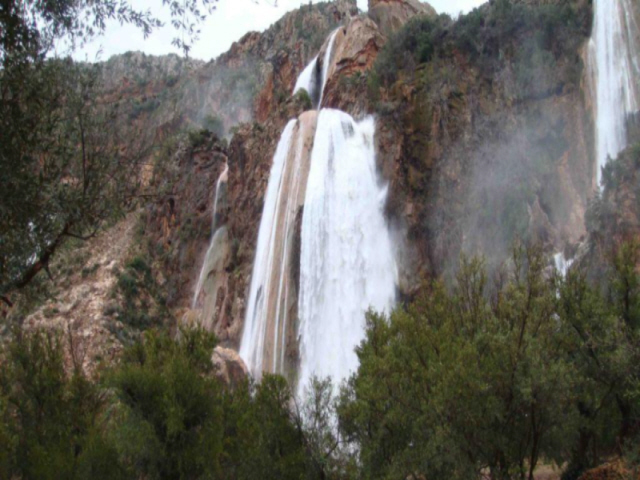 The magnificent waterfalls are a short walk from the hotel. 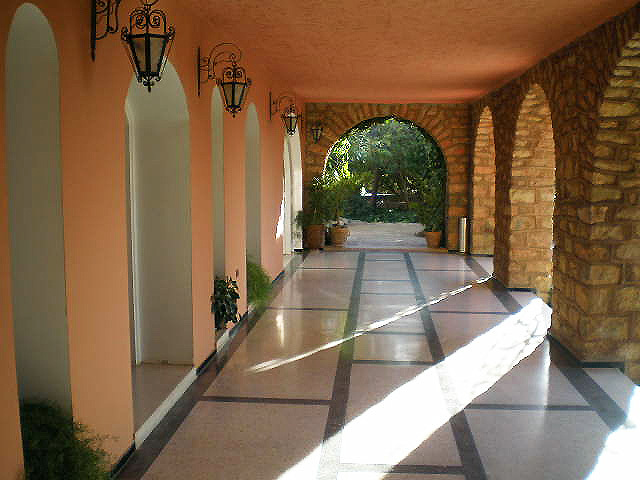 Your stay in Immouzzer will begin and end with total relaxation in beautiful and scenic surroundings. The cascades is perfect for photographers, ramblers, bird-watchers and those just like romantic settings. Hot water and heating is unreliable at times. 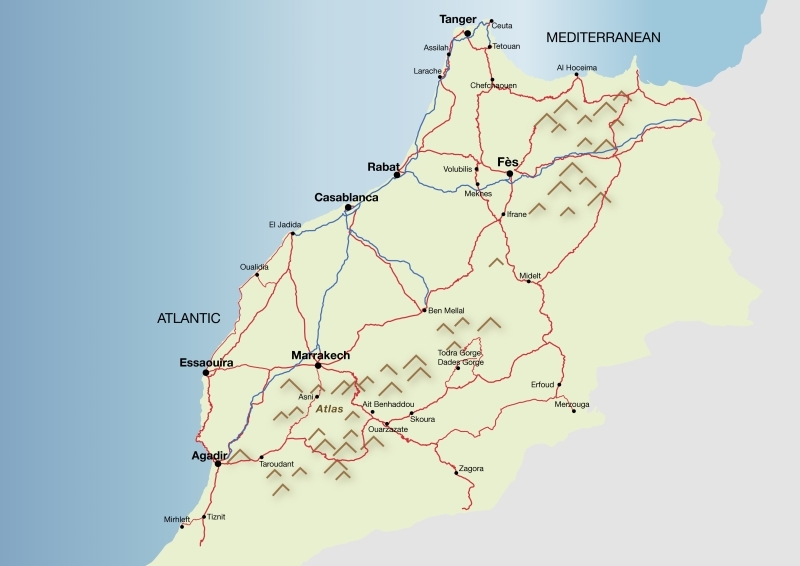 Base prices are in Moroccan Dirhams: Sterling, Euro, and USD rates will vary by exchange rate. "I stayed a week and went on some great treks with M'barak. He is an expert herbalist and speaks Engish very well. The staff as ever were very friendly and helpful. Nothing much has changed since my previous visits. (I've been coming since 1990) The tranquillity and beauty of the place and the breathtaking views from the terrace and room balconies are the main reasons I visit. Thank goodness there is no wi-fi,or TVs etc!" 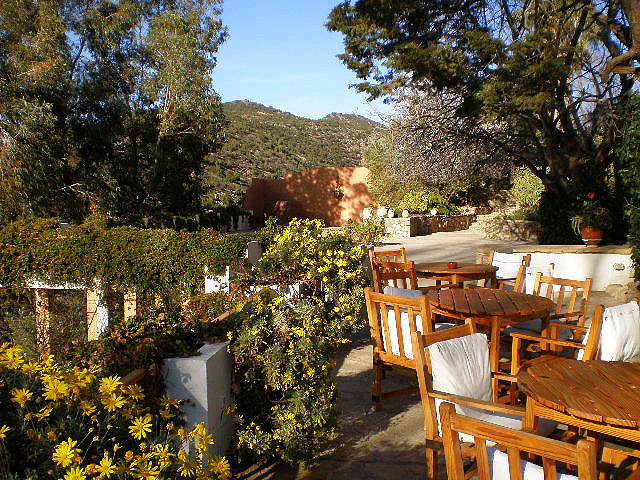 "The drive up to Immouzèr was breathtaking and the hotel itself sits in wonderful gardens. It was terribly cold when we were there and there were welcome roaring fires in the sitting room and dining room. The staff were friendly and the food was very good. Our only criticisms I see have been mentioned before: namely the state and size of the towels and the lack of hot water. They really should do something about both these two annoying problems." 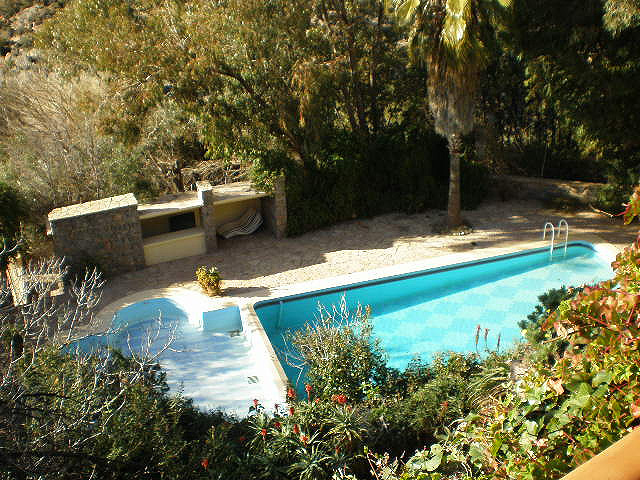 "February 2012: hot sunny days on the terrace overlooking the beautiful valley below. Really good food at reasonable prices (130dh for 3 courses with many choices plus wine) and the service and friendliness of the staff (all local people) was exceptional. They offer mountain guidance, and great local knowledge but are a modest lot (not like Marrakshis! )so approach them! 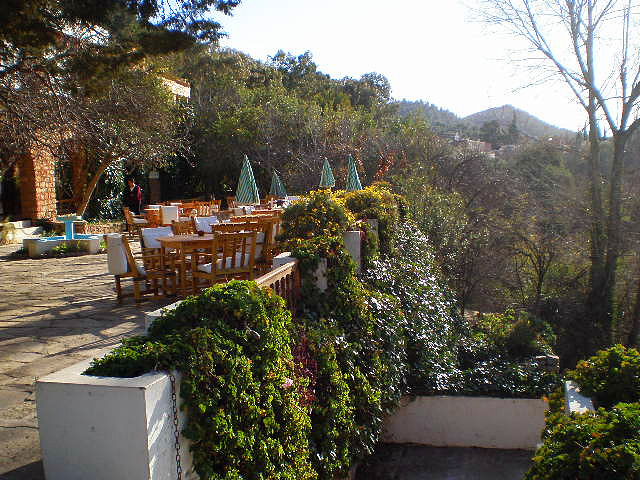 All rooms have a balcony and uninterrupted view and the gardens and mountain walks are breathtaking. 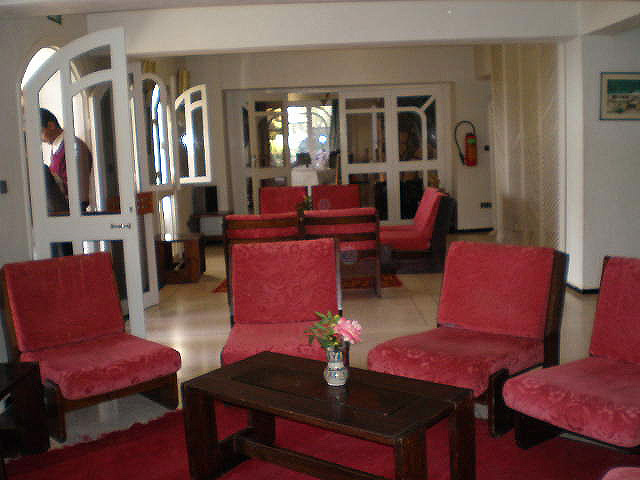 The staff lit two huge log fires each evening and my bedroom and bathroom had electric heaters. (By mid morning I was sunbathing and too hot!) 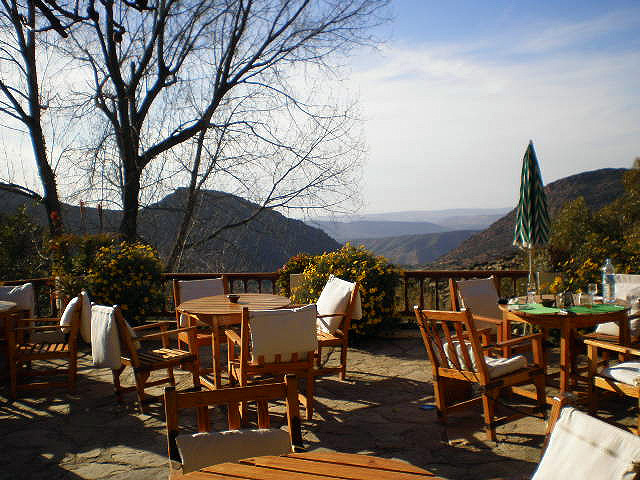 Busy on the terrace at lunchtime with families from Agadir driving up for lunch and a trip to les Cascades." 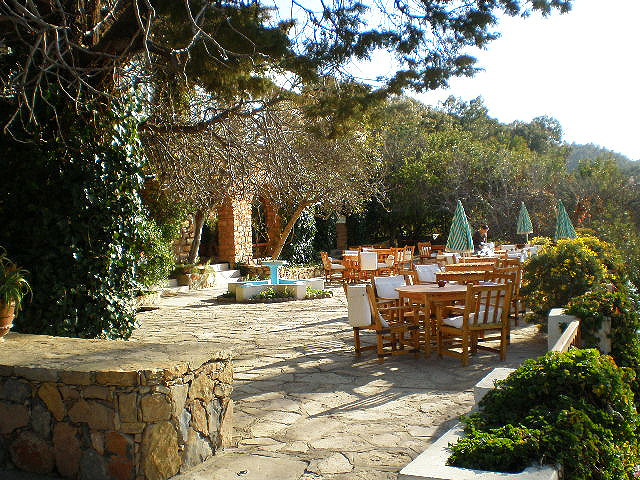 There are 27 rooms simply styled, rustic but clean, with terrace or balcony. 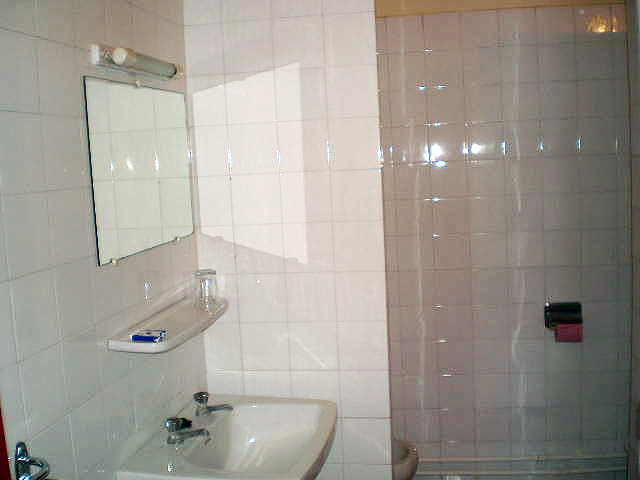 They each have an ensuite bathroom with either a bath or shower. 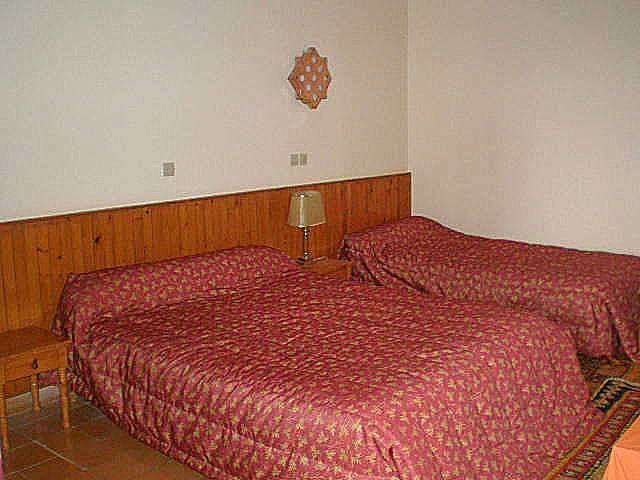 Some rooms are adjoining, ideal for families. 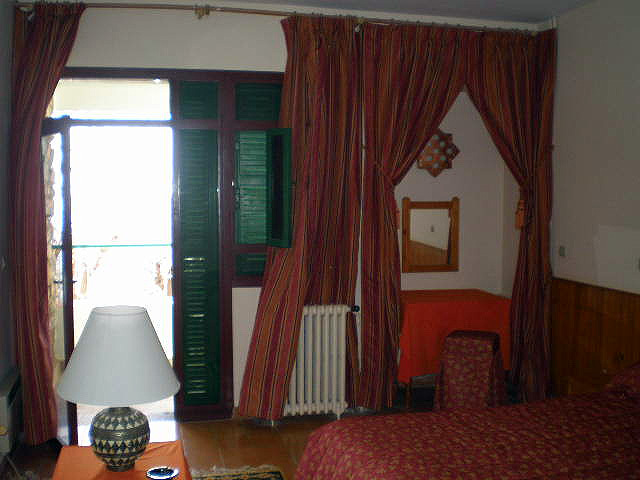 The base rate price at Hotel des Cascades is in pounds, euros, or Moroccan dirhams and exchange rates are approximate.